Check our Resources Page for more! “Honoring the Lives” presented on December 9, 2013, is a concrete tribute etched with the names of one inspector and 16 miners who died in the June 1971 Sylmar tunnel blast. The small monolith is situated underneath a live oak and beside a koi pond in a courtyard behind Union Station. Read the Daily News article here. Los Angeles times overview written in 2015. Read more about the explosion and events leading up to it by LAFD. There are more articles you can search for if you would like more info. The Chatsworth Historical Society (CHS) - Homestead Acre, 10385 Shadow Oak Drive, in Chatsworth Park South at the west end of Devonshire Street in the beautiful San Fernando Valley. The Homestead Acre, which is Los Angeles Cultural Historical Monument No. 133, is owned by the Los Angeles City Department of Recreation and Parks with the Chatsworth Historical Society acting as conservator of the property. Hours of Service: The Homestead Acre, which houses the Chatsworth Historical Society, the Chatsworth Museum, the Frank H. Schepler, Jr. Memorial Library, and the Hill-Palmer Homestead Cottage, is open to the public from 1 to 4pm on the first Sunday of every month for tours. Special tours of at least 10 or more people can be arranged by telephoning the CHS at 818.882.5614. San Fernando Pioneer Memorial Cemetery - California State Historic Landmark 753, registered December 22, 1960 and L.A. Historic Cultural Monument 586, declared: November 30, 1993, earlier known as Morningside Cemetery, this is the oldest nonsectarian cemetery and second oldest cemetery in the San Fernando Valley. It holds the remains of early pioneers, Civil War Veterans, and Mission Indians. It was used from the early 1800s until 1939. It is now owned and maintained by the San Fernando Historical Society. Located @ 14451 Bledsoe Street in Sylmar, SW corner of Foothill & Bledsoe. It is flat, 3.8 acre Sylmar site covered with native grasses and includes a walkway and memorial patio. Andres Pico Adobe - One of the oldest residences in the City of Los Angeles. It represents a bygone era and the rich historical past of the San Fernando Valley. Inside are museum displays of native American beads, Mission and Spanish-Mexican era artifacts, costumes and clothing that span more than a century, and furniture from the Victorian era, when the Adobe was home to members of the Pico family. The Nethercutt Collection and Museum is listed under Attractions. Brand Park and Memory Garden - California State Historic Landmark 150, was given to the city for a park November 4, 1920. It is a part of the original land grant of Mission San Fernando de Rey de España, and the colorful and picturesque atmosphere of the early California missions is preserved in Memory Garden. Located at 15174 San Fernando Mission Blvd, Los Angeles. Mentryville - California State Historic Landmark 516-2, is California’s First Oil Boom Town. Named after pioneer oil developer Charles Alexander Mentry, who in 1876 drilled the first successful oil well in California. His restored home and barn and Felton School remain here where the Star Oil Company, one of the predecessors of Standard Oil of California, was born. Located @ 27201 Pico Canyon Road, Newhall. For more info visit Friends of Mentryville. Oil Well CSO-4 (Pico No. 4) - California State Historic Landmark 516. On this site stands CSO-4, California’s first commercially productive well. It was spudded in early 1876 under direction of Demetrious G. Scofield who later became the first president of Standard Oil Company of California, and was completed at a depth of 300 feet on September 26, 1876, for an initial flow of 30 barrels of oil a day. Later that year, after the well was deepened to 600 feet with what was perhaps the first steam rig employed in oil well drilling in California, it produced at a rate of 150 barrels a day. It was shut down in 1989 (with production at 1 barrle per day) after producing oil for 113 years, the longest run of any commercial oil well in the world. It was officially abandoned in February of 1990. The success of this well prompted formation of the Pacific Coast Oil Company, a predecessor of Standard Oil Company of California, and led to the construction of the state’s first refinery nearby. It was not only the discovery well of the Newhall Field, but was a powerful stimulus to the subsequent development of the California petroleum industry. Nicely documented here by Stan Walker. Located on W Pico Canyon Rd, 3.3 mi W of I-5, Newhall. Santa Susana Pass State Historic Park - The story of Santa Susana Pass includes an ancient Indian hunting trail, rocks used as shelter by native people, and hair-raising stagecoach trips down Devil’s Slide. Visit the website for directions. Download the brochure to read about the fascinating history and a detailed map. In Chatsworth off the 118 Freeway Topanga Canyon Boulevard exit. The hills surrounding the community park are the parklands for Santa Susana Pass State Park, which is a day-use area. TRAIL USE: Bike Trails, Hiking Trails, Horseback Riding. 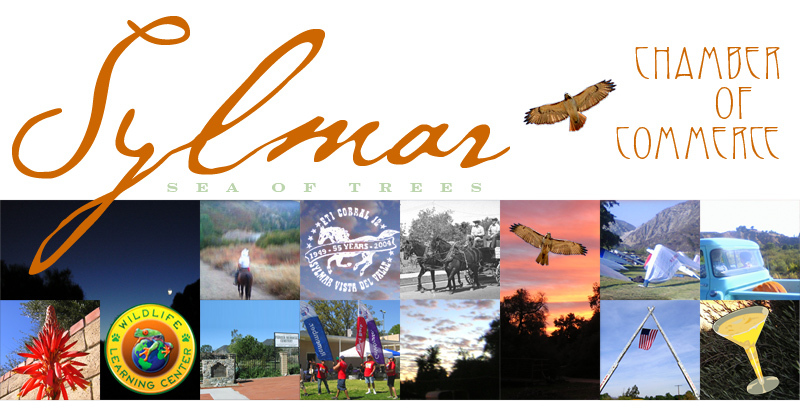 DAY-USE ACTIVITIES & FACILITIES: Historical/Cultural Site, Picnic Areas, Exhibits and Programs, Nature & Wildlife Viewing. Learn about more Los Angeles landmarks at California Parks here, Valley Landmarks here and National Historic Registry here. Wildlife Learning Center - Life • Science • Education - Visit the Wildlife Learning Center and meet 50 different species of animals from around the world exhibited in a beautiful landscaped setting. Stroll along the paths and enjoy viewing the animals. Location: 16027 Yarnell Street, Sylmar. Check out Wildlife’s wildly popular Zoology Summer Camps for Kids! 818.362.8711. General admission and hours: $5 children, $6 adults, open 7 days a week, 12-5:00 M-F, 11-4:00 Sat-Sun. The Nethercutt Collection and Museum - features rare collectibles ranging from mechanical musical instruments and antique furniture to the true heart of the collection: over 250 American and European automobiles dating from 1898 to 1997. Tours of the Salon are free, but must be reserved in advance. The museum is open for self-guided tours. Please visit their website for more details and times. Sylmar Hang Gliding Association - The world capital of hang gliding. Sylmar is one of the most perfect places in the United States to hang glide, due to the excellent condition of the wind drafts and currents. Wildlife Waystation - 14831 Little Tujunga Canyon Road, Sylmar, CA 91342. The first exotic animal sanctuary established in the U.S. when wildlife lover and expert, Martine Colette, took in her first exotic animal. Learn more here. Six Flags Hurricane Harbor is right next door. Adventure Pass - required for use of certain recreation sites and areas in the forest, and for certain facilities and services. Forneris Farms - 15200 Rinaldi Street, Mission Hills, CA 91345 • 818.361.0714. Farm Market open daily 9am to 6pm, cash only. Hansen Dam Aquatic Center - 11798 Foothill Blvd., Lake View Terrace, CA 91342. 40-acre water recreation facility consisting of a 9-acre recreation lake and a 1.5-acre swimming lake. Activities available including fishing, boating, picnicking, jogging/walking, bird watching, kayaking and boat lessons and rentals. Hansen Dam Equestrian Center - 11127 Orcas Avenue, CA 91342-6723 * 818.896.6514. Features a fenced oval riding arena, a staging area for those who want to explore the 12 miles of trails in Hansen Dam, restrooms, a play park, picnic tables and lawns. Visitors can drive their trailers up to the park and ride their horses free of charge. Hugo Reid Adobe - Located at the Arboretum. More information here. Los Angeles River Kid stuff @ Hansen Dam Equestrian Center, Walks @ Hansen Dam, Horse Back Riding.